Room Details: Occupancy-2 +2 adults, large room, sitting area, dining area, HD-TV, private shower. 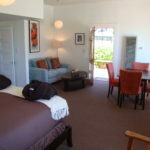 Upgrade: Additional separate bedroom which shares the Bonny Doon Suite bathroom. Located on the corner of our detached cottage on 31 Davenport Ave., it is a short walk to the restaurant and beach. 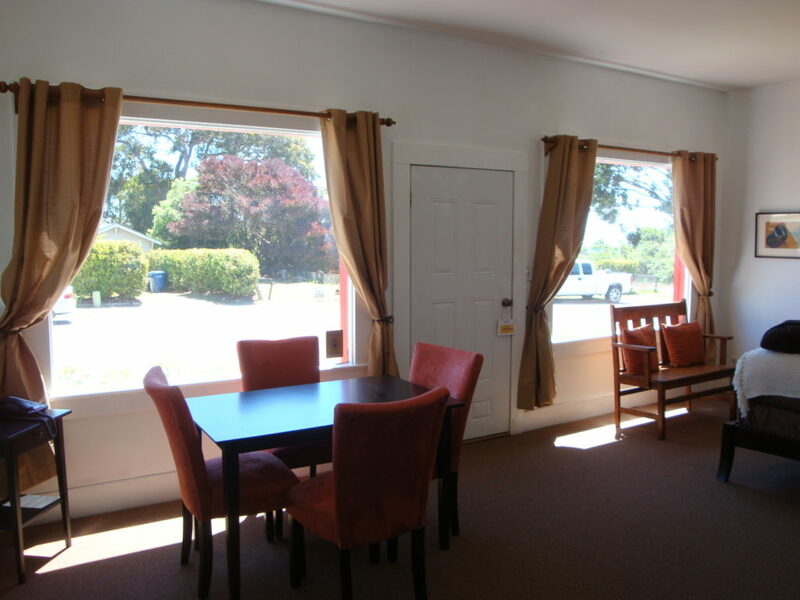 The Bonny Doon Suite is the second largest room at the Davenport Roadhouse, and offers a great ocean view from its two large front windows. 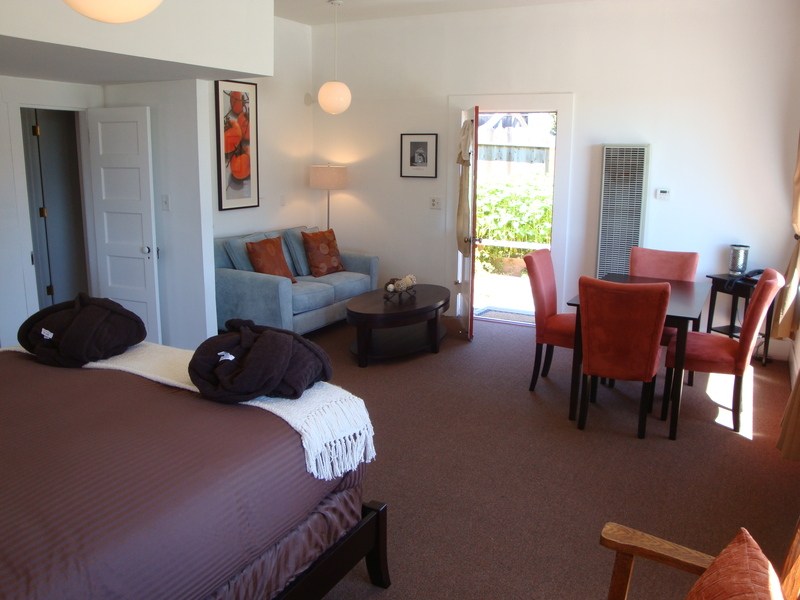 The Bonny Doon Room (#1) comfortably accommodates two adults and features a Queen bed. There is a cozy seating area as well as a dining table and chairs for relaxing and gathering around to share adventures of the day. If you need more room, please ask for the upgrade to add a separate but connecting bedroom (#1A) with a Full bed to create a two-bedroom suite with a shared bathroom. 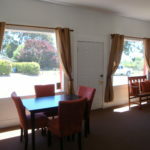 The Suite is named for the area of Bonny Doon where several of the 98+ boutique winemakers and wineries are located. Because it was illegal during Prohibition to sell wine, barrels of grape juice were loaded at the Davenport train station with the necessary yeast and ingredients to facilitate fermentation. By the time the barrels reached their destination on the East Coast… Voila! Wine! Dimensions: Suite is 20’ x 17’. Additional separate bedroom is 11’ x 10’.